Madame Gao from Season One is in charge of the blind Chinese minions and runs a cocaine ring. The Japanese Yakuza in Daredevil is literally a group of evil ninjas that steal the body of the only Asian protagonist to resurrect her and make her kill people. 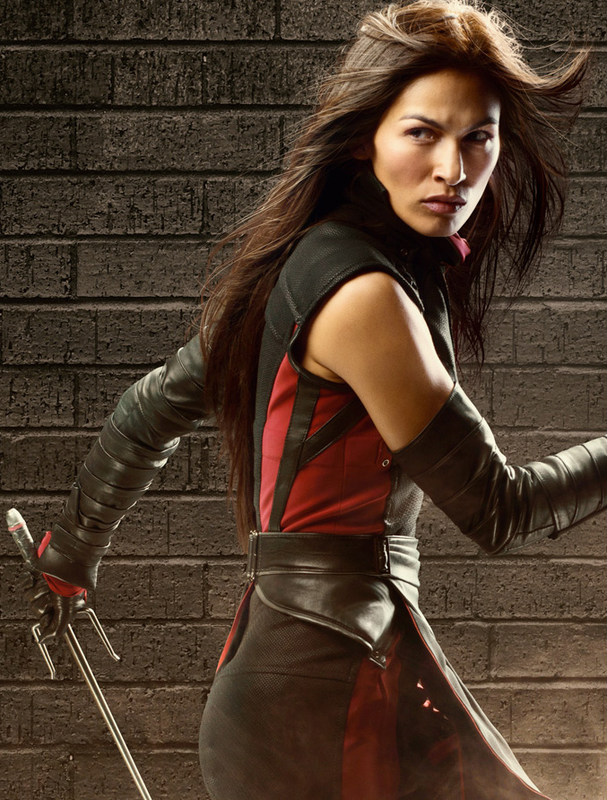 Elodie Yung’s Elektra isn’t even East Asian, yet in the end of Season Two, she, like all the other Asians in that season, is thrown into the stereotype of an evil martial artist that stabs people. To break it down, we have evil East Asian minions following around an evil Chinese dragon lady that runs a cocaine trade and a group of evil Japanese ninjas. Really, all that’s missing is the evil Korean IT guy, and Daredevil will be able to have the golden trio of Evil East Asians. Here’s the thing about stereotypes: they aren’t necessarily wrong (except for the clad-in-black ninja one; historically, ninjas wore regular clothing). The reason people of color dislike stereotypes is because oftentimes in media they become our defining traits. How often do you see a ninja with feelings, friends, and other interests, like gardening? The representation of race matters in terms of how we view these people based on their ethnicity, on and off screen. Preconceived biases can change the way we view people, and if the primary source of our experiences with these people is from the media, then the characters portrayed on screen have a powerful influence on how we view people that look similar or are easily categorized with them. Based on how an accumulation of these negative views of Asian characters can influence one’s view of Asian people in real life, let’s just say that the Daredevil writers aren’t exactly sending the message that East Asians, at least, aren’t here to steal your money and property and stab your friends. It is important for writers to recognize the need for the depiction of nuanced and three-dimensional people of color on screen, especially if they’re recurring characters. When all of the people of one race are depicted as stereotypical plot devices for the white protagonist to fight or to use as angst-fuel, it reflects negatively on the race as a whole. In many cases, poor representation can be used to propagate dangerous and harmful ideology about certain groups of people, which is why oppressed minorities and those advocating for them place so much emphasis on positive representation. Characters that appear in stereotypical roles do not have to be stereotypical. Any excuse to erase the race or ethnicity of these characters, such as the white-washing in Dr. Strange, is just an excuse to not write three-dimensional characters. In the first episode of Marvel’s Luke Cage, Luke’s Chinese landlords, Jin and Connie Lin run a Chinese restaurant and appear to be strict and stereotypical at first glance. However, A) they speak perfect English and B) their characters have depth and dimension! Representation is more than allowing the audience to see people of color on screen. Well- written representation of minorities showcases nuance and depth, turning the defining traits of a character away from the stereotypes associated with their race, and portray people of color as more than just their appearance and cultural heritage. Strong writing and critical revision is crucial for the media to turn away from the superficial presentation of these characters and thus for people of color to be seen in more positive light in daily life. It is essential to acknowledge the power of media and the message conveyed; not just for the writers of high-profile shows like Daredevil, but for any content creator.